Creating a lead form in AgencyBloc is accomplished in a few steps. Once you’ve created your lead form, you can add it to your website. Once you’ve set up and used your lead form, learn how to edit your lead form. To create a lead form, follow the steps below. Please note, only Agency Users can create or edit lead forms. From the main tabs, select Lead Forms. Complete Lead Form Details and Lead Record Details. Give your lead form a unique name and make sure to enter a valid web address for the thank you / confirmation page. Set the type and lead source for the record being created. When finished, select Save & Edit Form Fields. Select and order your form fields. After you’ve selected a field, click Add Option to include the field on the form. Drag and drop fields in the order you want them to display. Once you’re finished, select Save & Preview Form. 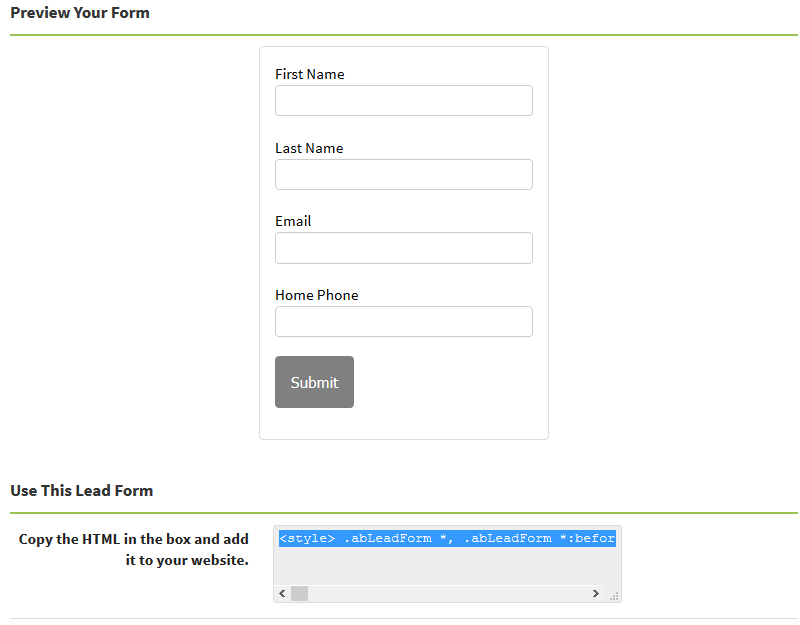 Review your lead form and copy the HTML to add to your website. To edit a lead form, navigate to the lead forms area in AgencyBloc. Select the lead form you’d like to edit, then select the Edit Lead form button. Once you’ve made and saved your changes, make sure to update your website with updated lead form HTML. Can I customize my lead forms? Yep! Check out the article on customizing lead forms for instructions on how to tailor a lead form to your needs. Can I assign an agent to a lead from the lead form? Sure thing, you can add a field to a lead form behind the scenes to assign an agent to a new lead. 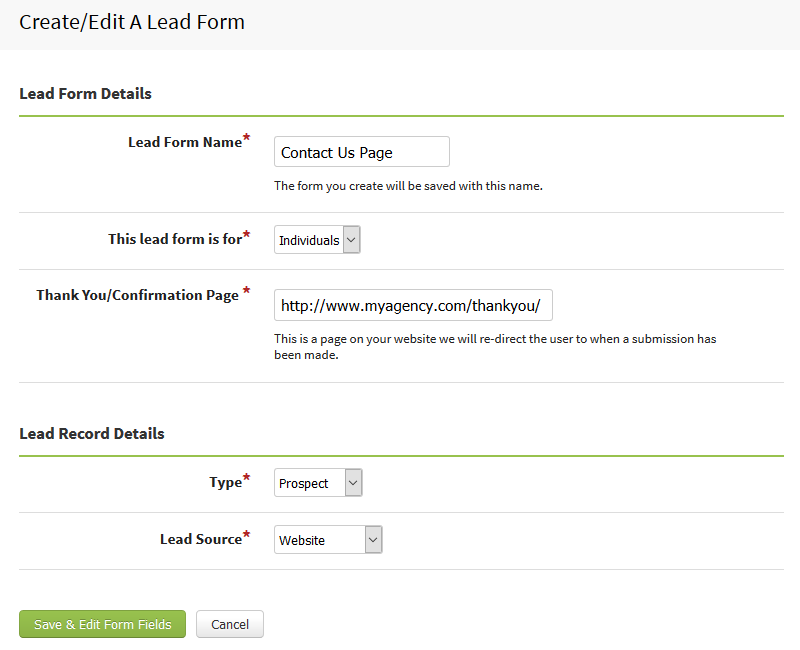 Check out the article on customizing lead forms to learn how.